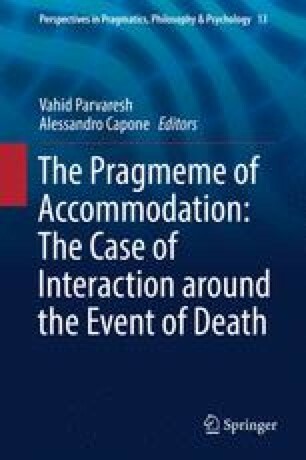 This chapter will treat some pragmatic issues relating to how death is reported and discussed in artificial languages such as Esperanto, and how deaths of people in artificial language movements are announced. Many, if not all, natural languages have euphemisms for dying; this is true of some (but perhaps not all) artificial languages. I will present some euphemisms in artificial languages. Very few books for learning artificial languages give instructions on condolences; I will look at the limited material on this. I will then examine several types of texts (or pragmemes) relating to death, including funerals, obituaries, and epitaphs. The most space will be given to obituaries, as they seem to be the most commonly occurring of these text types in artificial languages. At least some such obituaries are different from the obituaries that occur in ordinary natural language sources such as newspapers in that details about the family of the deceased are not given. In this paper I have modified the formatting in some quotations for ease of comprehension.